Here is a selection of the top 3 DRM removal software which can remove DRM legally and convert DRM M4V to unprotected formats so that you can enjoy the DRM-free videos on any Android/Windows devices and media players. Pavtube ChewTune (Read review) ranks top on the list of DRM Removal/Video Recorder softwares for its versatile features. With this all-in-one DRM Media Converter, you can remove downloaded, purchased or rented DRM-protected videos from iTunes, Amazon Instant Video, Digital Copy, Windows Media Center, Zune Marketplace, BBC iPlayer, Xbox Live Store, Limewire, uTorrent, FrostWire, etc., and record them to all popular video/audio formats for playing anywhere you like without any hassle. 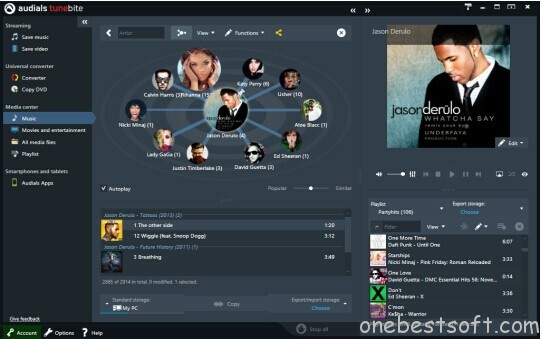 Plus, it provides hundreds of video presets for portable media players, including iPhone, iPad, iPod, Surface, Hudl, PSP, PS3, Xbox 360, Archos, HTC, Samsung, Google, Sony, Panasonic, Creative Zen, HD Media Players, HDTV, etc. In this way, you can convert your iTunes media files to fit your device for enjoyment on the go. Remove DRM Protection from Video from iTunes, Amazon Instant Video, Digital Copy, BBC iPlayer, etc. TunesKit DRM Media Converter for Windows is a smart but professional iTunes DRM Removal tool to remove Fairplay DRM protection from all iTunes downloaded videos including iTunes purchased/rental movies/TV show episodes, music videos. Support to playing the output MP4 videos with any mobile devices. 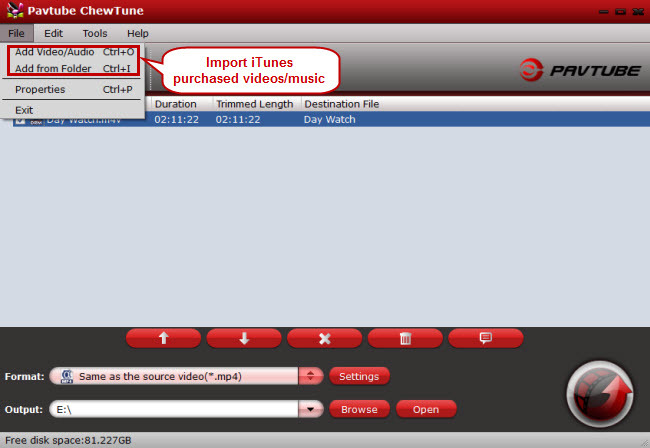 Tunebite Platinum is also an DRM removal to remove DRM from iTunes music and videos. It can not only remove DRM protection from WMV videos, but also works like a DRM video encoder to decodes and encodes the video to convert DRMed WMV, M4V, M4P, WMA, AA files to WMV, XVID, MP4, AVI, 3GP, MP3 etc. To remove DRM from iTunes, I find Pavtube ChewTune is powerful and much better since it can strip DRM protection from iTunes movies and TV shows and convert them to virtually any video/audio formats for play anywhere you like, record them to non-Apple programs or devices like HTC, Samsung, PSP, Zune, Xbox 360, Windows Media Player, etc. or share them with your family/friends without any limits. What’s more, Pavtube can deal more DRM videos. How to Convert iTunes to Galaxy S6 Edge Plus?